If you are in the U.S., you should totally get into the unlocked iPhone ebay business while you can. I decided I wanted to get an iPhone now before it's locked back down with the next firmware update so I've been watching iPhone auctions on eBay very closely for the past 2 days and man, people are making a killing selling them. Just as an example, between 10:00 pm and 12:06 am last night/this morning (US pacific time), there were 35 completed auctions for 8gb iPhones on eBay, 8 didn't sell because those sellers were dumb enough not to ship internationally (that's where the demand is, people!). Out of the 18 who do ship internationally, only 1 did not sell (most likely because the seller was too greedy and wanted $648, including shipping, for the phone). The other 17 sold at an average price of around $560 (high of $607 and low of $507, again, including shipping). That's about $70 in profit after you subtract eBay/PayPal fees and shipping cost. Do that 10 times a day and you have made $700 (and believe me, you can easily sell 10 a day). The only problem I could see would be getting enough phones to sell. I wonder if Apple Stores frown on people who come in and buy 10 phones a day, every day. And it's nearly risk free. Like I said, except for a couple of sellers who wanted too much, every auction I've watched (that ships internationally) in the past 2 days sold. Aim for about $70 to $80 in profit and you can probably sell as many iPhones as you can get your hands on. Even in the unlikely event the iPhone eBay market suddenly collapses for whatever reason, you can always bring them back and get a full refund (don't open them to unlock until they've sold, obviously). So go after work tomorrow and buy 15 phones. Spend half-an-hour when you get home to make the listings on eBay. Do one day listings and you'll sell them out by the following day. Another hour or so to unlock the phones and to pack them in boxes for shipping. Bam! A thousand bucks. Not bad for a few hours of work. Wash, repeat and go buy yourself something pretty (or better yet, buy me something pretty). And if you put the phones on a credit card with mileage rewards, you'll rack up major miles for this racket. By the way, who wants to help me buy an iPhone??? I will just come right out and say it: start-to-finish, it was the best meal I've ever had. If you are reading this review, chances are, you know all about Robuchon and his Ateliers popping up all over the world (Tokyo, Paris, Vegas, New York, London, Hong Kong at last count), so I won't get into who he is (a legend in French cuisine) and what his Ateliers are all about (fancy French food in informal settings inspired by sushi bars). What better place to try his Atelier concept than at the original location, the one in Tokyo? 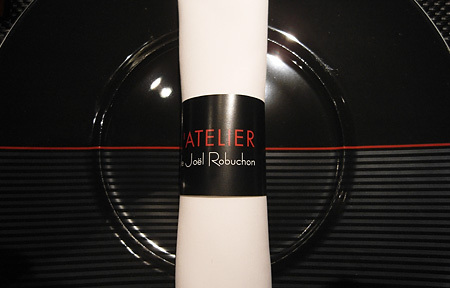 Continue reading "L'Atelier de Joël Robuchon (Tokyo)"